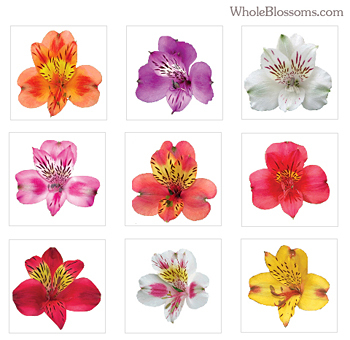 Alstroemeria or Peruvian Lilies are beautiful flowers that resemble miniature lilies, yet are characterized with angelic color combinations such as: white, pink, green, lavender, purple, yellow, orange, salmon, hot pink and red. They typically bloom in the late spring and summer months. They are a symbol of friendship and devotion, making them a gorgeous choice for any occasion. They also make excellent gifts. They are usually grown in Colombia and Ecuador. When they arrive they are usually closed and droopy requiring three to four days to open. What makes them unique is their beautiful solid colors on the outside and speckled stripes on the inside, although not every variety has them. The color they have on the outside, when closed, is not the color chosen that is on the inside, so don’t worry if they look different when you first receive them. 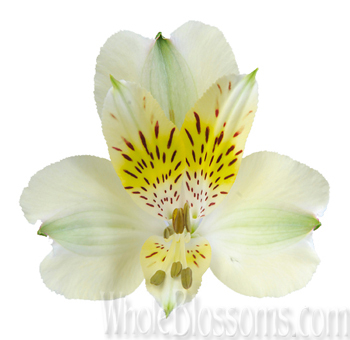 Alstroemeria is considered a secondary, not primary flower, making them a nice complement for other flowers. They also make perfect flower filler. They do not have any fragrance, so just enjoy them for their sheer beauty. You will also enjoy their long-lasting vase life, when proper care and handling has been taken. Named after it's discoverer Baron Claus von Alstromer, this Lily of the Incas or Peruvian Lily closes resembles miniature lilies. This flower symbolizes prosperity, wealth, fortune and devotion. They are also the flowers of friendship and can be found in a wide variety of colors. Colors such as white, yellow and pink to lavender purple and orange are all available. This wide variety of colors makes it easy to use in almost every event regardless of the theme. They blend in well and yet manage to stand out like no other. Originally native to South America, they have now been neutralized across United States, New Zealand, Madeira, and the Canary Islands. Since the Alstroemeria Peruvian Lily is native to Peru, it was never noted down in the Victorian books of flowers and symbolism. A genus of tuberous perennial garden plants is known by various names. 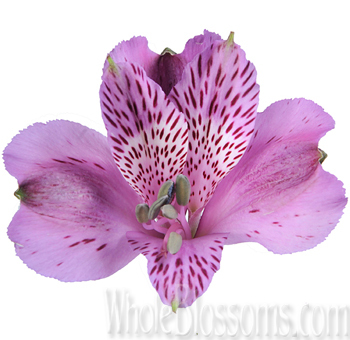 Names like Peruvian Lily, Inca Lily, and wild orchids the cut flowers are used widely. They are ideal to use in any arrangements. They were discovered in Peru first and are easily spotted on the cold mountains of South America along with spices. 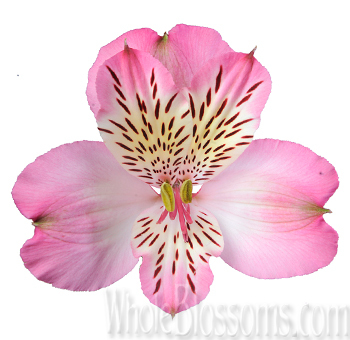 Alstroemeria consists of about 50 species, and more and more hybrids get cultivated all the time. In summer the top part of the stem generally becomes airy giving space for the lustrous and colorful flowers to grow. Depending on the species and variety these plants grow from fifteen to one hundred centimeters. Their leaves are alternatively spiraled and cracked, with different hues of green for different varieties. The leaf of Alstroemeria grows upturned from its stem, so the bottom of the leaf is facing upwards. Their color is what's so striking about this plant. The wider variety gives the freedom to play around with this flower in events and weddings. Even white themed weddings have much to benefit from this plant. 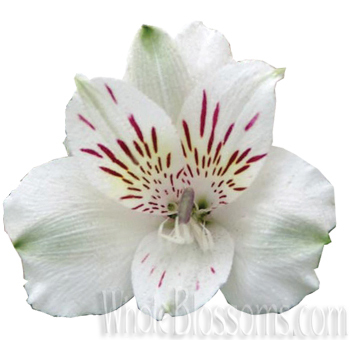 White Alstroemeria is readily available with many hues and splashes of different colors. Paired with Irises or tulips, these can even make a beautiful centerpiece. The bouquets and flower arrangements possibilities are endless when it comes to Alstroemeria. This flower is renowned for its ability to shine and look extraordinary in many settings. These plants come in an extensive range of colors. There are different shades, hues, and combinations available from almost all colors of the spectrum. 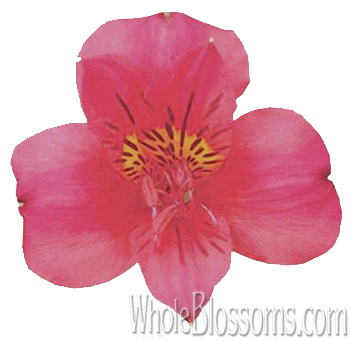 The Alstroemeria flowers have different names of different species. But they are easily recognizable through their colors. The AlstroemeriaInticancha or Antarctica is a white colored species that is mostly compact and free flowering. The cut flowers last long and have an incredible vase life. So, they can be perfect for centerpieces at weddings. The color white is also a symbol of purity and innocence and can be gifted to anyone. 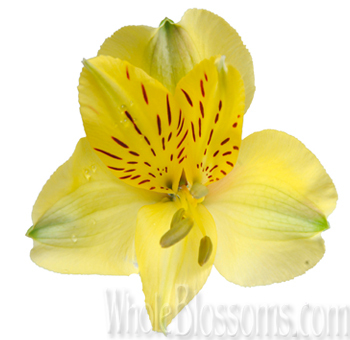 The golden yellow variety of the Alstroemeria flower is a species that's called the Aurea. This flower blooms magnificently in its bright colors bringing a splash of cheerfulness and sunshine to any décor. This flowers foliage too is full and beautiful with lush green leaves. Atop these leaves look the beautiful yellow Alstroemeria making it a symbol of happiness, energy, and optimism. They make a perfect decorative piece for a summer event or boho chic wedding theme. 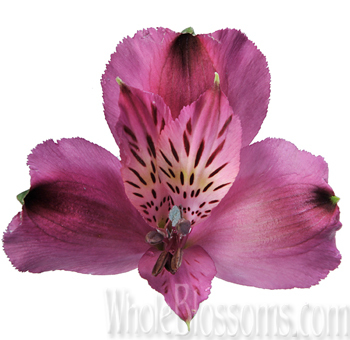 The Alstroemeria Princess Louise species is another of a compact free flowing flower. These long-lasting blooms have a pinch of yellow in their throats and splashes of burgundy on their lance-shaped petals. Perennial in nature their dark green leaves look lush since the plant is very densely branched. The flower in its full bloom looks unique and elegant and a perfect pink addition to events as well as weddings. 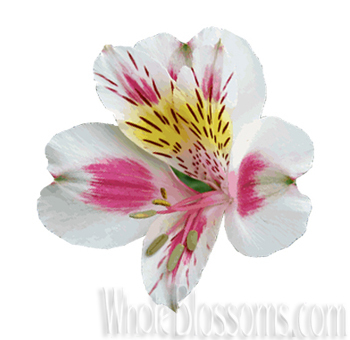 Other pink Alstroemeria varieties are princess Ivana and princess Elaine. The latter is a brighter pink while the former is much more of rosy pink. The Indian Summer is the most exotic of all Alstroemeria. It is a bright flaming orange that is incredibly eye-catching. Since the color itself symbolizes positive energy and passion this flower is an ideal addition to any bouquet. 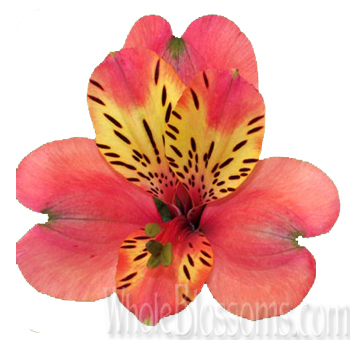 Alstroemeria flowers for sale are easily available online. These flowers are unique and hold a lot of meaning. Their unique and vibrant colors make them extremely versatile and usable in all arrangements. When purchasing them make sure you place a bulk order so that it's easy on your pocket. 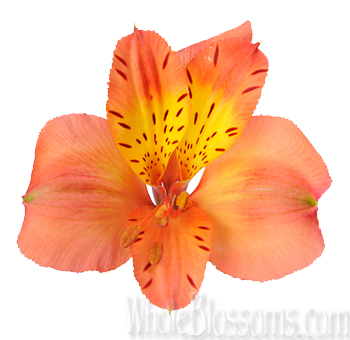 Trusted online wholesalers like Whole Blossoms can quickly help you get your hands on fresh Alstroemeria Flowers. They guarantee not only fresh flowers but also a 24/7-hour delivery which can be a lifesaver for events planned in haste. 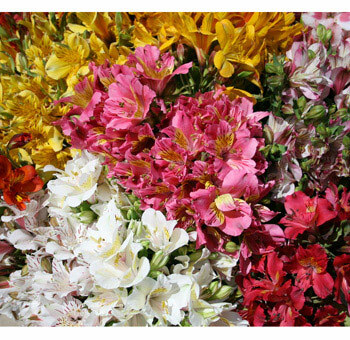 You'll find Alstroemeria flowers for sale in many colors. 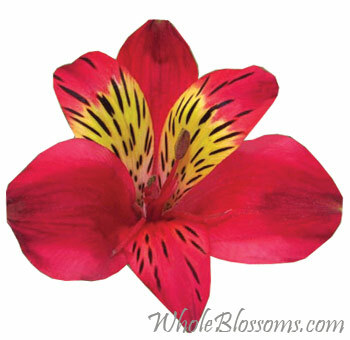 We especially love the vibrant red Alstroemeria which are actually hard to find otherwise. But if you place your order with Whole Blossoms, you're sure to find good quality. They have reasonable pricing with the added benefit of having them delivered right to your doorstep!